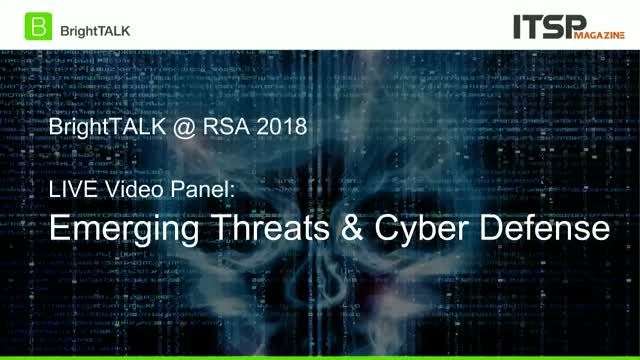 Join this post-RSAC panel as we look at the biggest trends and cyber threats covered during the RSA Conference 2018 in San Francisco. Join Mary Writz, Director of Product Management at Micro Focus for a live interview with Jessica Gulick, Founder & CEO of KATZCY from RSA 2018 as they discuss everything from the conference, cybersecurity trends and AI and Machine Learning. Join the cyber conversation at RSA Conference 2018. View the panel sessions with the industry's top security experts. Watch exclusive video interviews with the game-changing thinkers. Learn the trends in interactive presentations and discover the key insights discussed at the event.